Am Embroidered Badge or Patch is badge patches with a design stitched into them. It is also known as 'sew on' or 'iron on' badges or patches as they are usually attached in this manner. Created by using fabric backing and thread, can be attached with pin, sewn on or other methods such as iron-on, Velcro backing, etc. 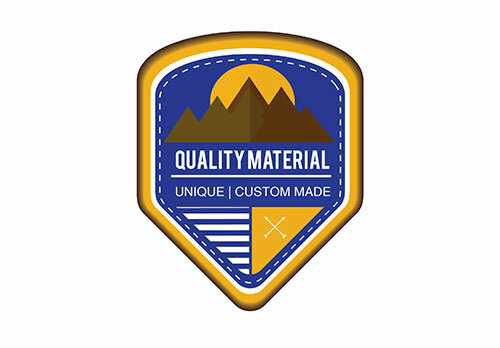 Embroidered Badges serve as a decorative items not only on your garments, but also can be use creatively on your products.